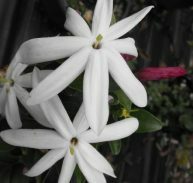 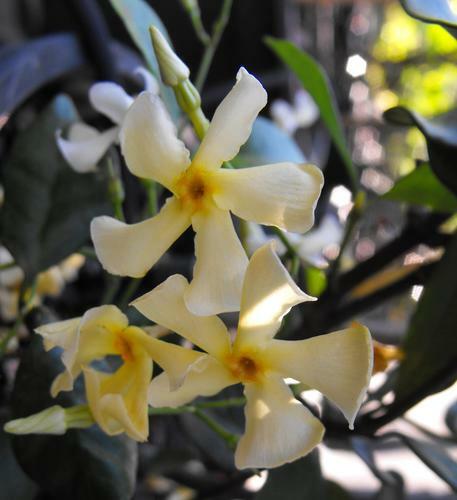 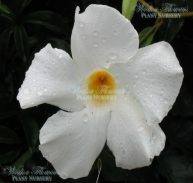 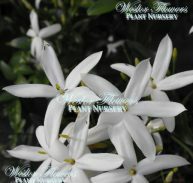 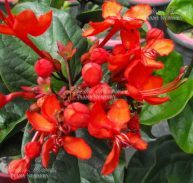 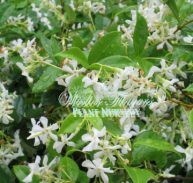 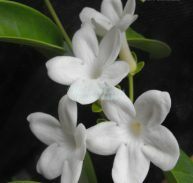 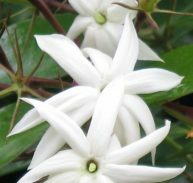 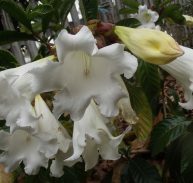 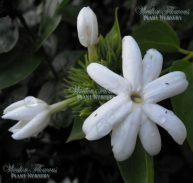 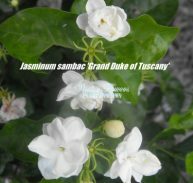 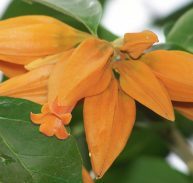 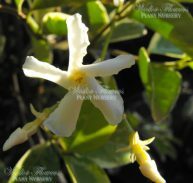 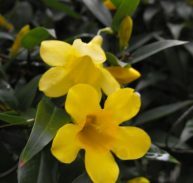 Trachelospermum asiaticum is not a true jasmine it is a less familiar relative of another Jasmine that is also not a true Jasmine the Chinese Star Jasmine. 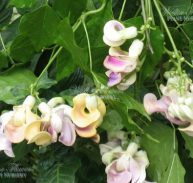 This vine has slender stems that will form a dense cover when grown as ground cover. 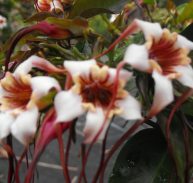 The smooth stems are reddish brown and produce a milky sap when broken. 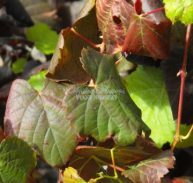 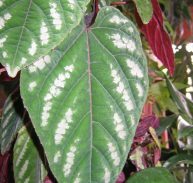 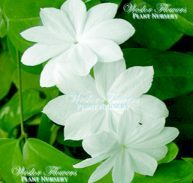 The small leathery leaves are glossy deep green and arranged in opposite pairs along the stems. 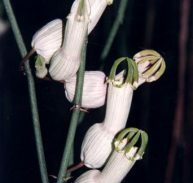 The leaves are about 30mm long and 15 mm wide. 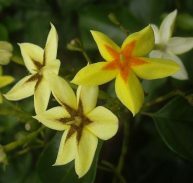 The small star shaped flowers are white aging to light yellow with a golden yellow star at the centre. 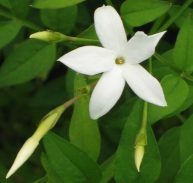 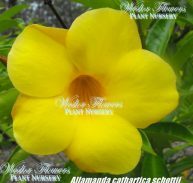 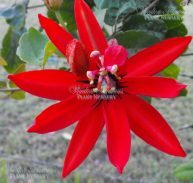 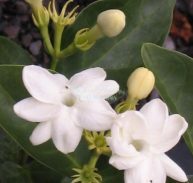 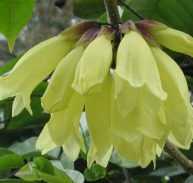 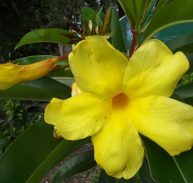 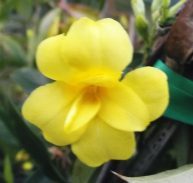 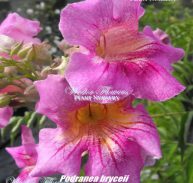 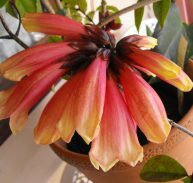 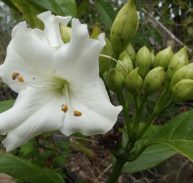 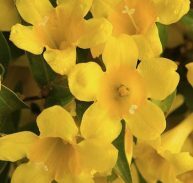 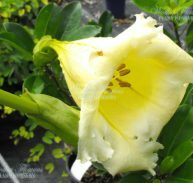 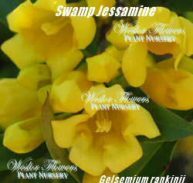 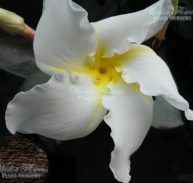 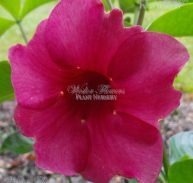 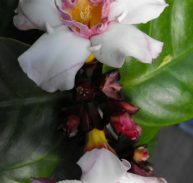 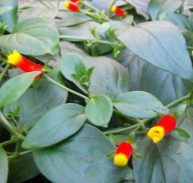 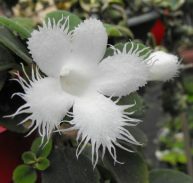 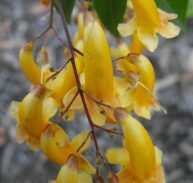 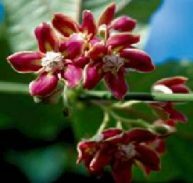 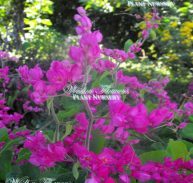 The plant’s common name is inspired by the beautiful fragrance produced by the flowers that is similar to that of the true Jasmine. 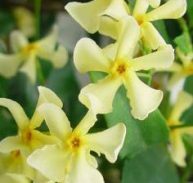 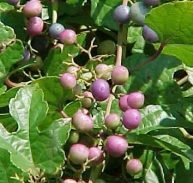 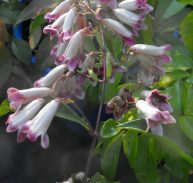 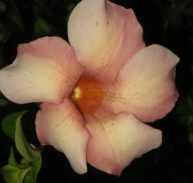 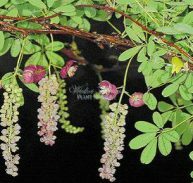 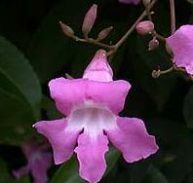 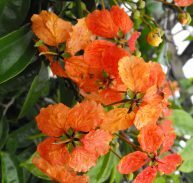 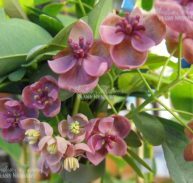 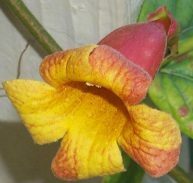 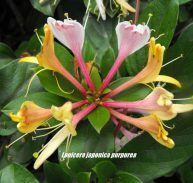 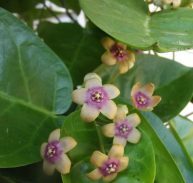 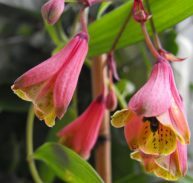 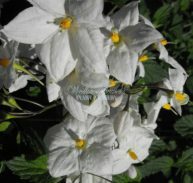 As the species name indicates, Trachelospermum asiaticum is native to Korea and Japan. 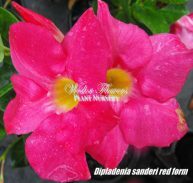 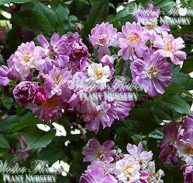 It prefers well-drained soil but will enjoy most soils except those that are overly wet. 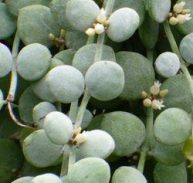 It has good salt tolerance and can be grown near but not directly on the beach. 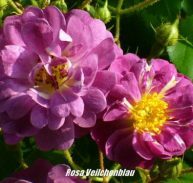 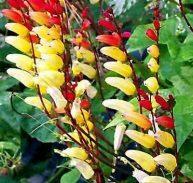 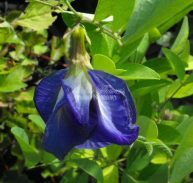 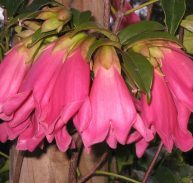 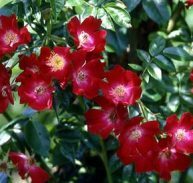 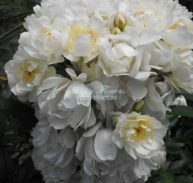 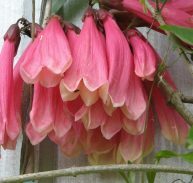 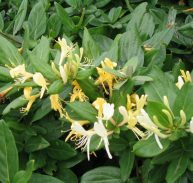 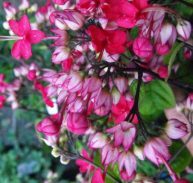 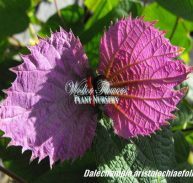 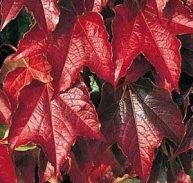 It will tolerates full sun to deep shade but prefers a moderately shady situations in hot summer climates. 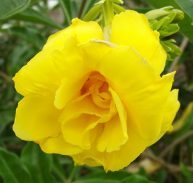 It may require extra water in hotter months. 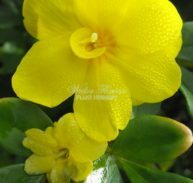 It will tolerate short periods of drought when established. 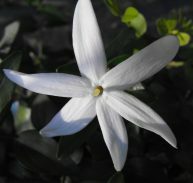 It is able to stand light frosts. 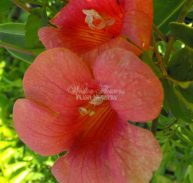 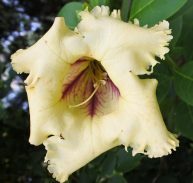 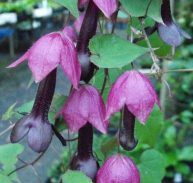 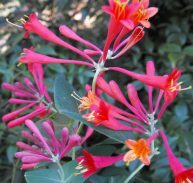 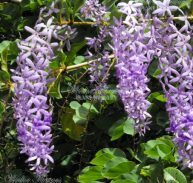 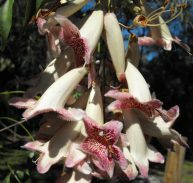 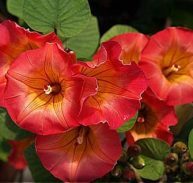 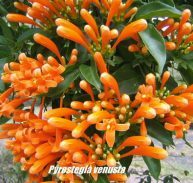 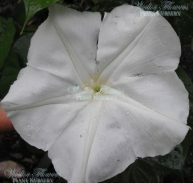 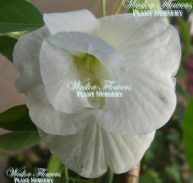 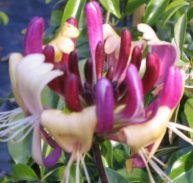 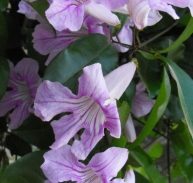 While the flowers aren’t so spectacular their spicy fragrance is a bonus of this useful and durable vine.